I’ve been reviewing the Linksys x6200 modem/router for a few weeks and have good news and bad news. 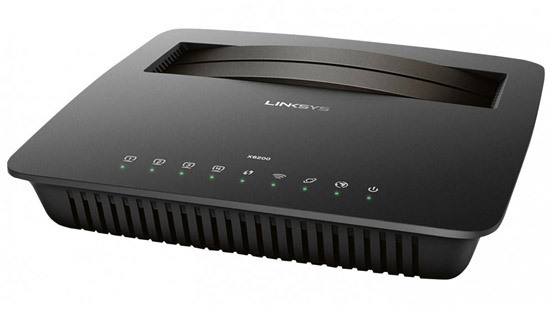 Unfortunately the Linksys X6200 is incompatible with Australian NBN VDSL FTTN/FTTC/FTTB connections but works with a TPG VDSL FTTB (fibre to the basement) connection. In plain language I only recommend purchasing the Linksys X6200 if your apartment building already has TPG FTTB available. If your stand-alone home or apartment building only has ADSL or NBN internet connections available, then this is not an appropriate modem for you to buy. Although the x6200 will work with an ADSL connection, it’s a bad long term investment because it won’t work once your home gets connected to the NBN. TPG has their own direct fibre connection to the basement of over 1500 apartment buildings near the central business district in Sydney, Melbourne, Brisbane, Adelaide and Perth. One of those apartment towers is the building I live in at the moment. This fibre network set up by TPG is totally separate from the NBN. It is faster and cheaper, though it should be noted that TPG’s customer service is often terrible if you have any problems. On the Linksys website the x6200 page claims that this “AC750 ADSL/VDSL Modem Router is compatible with all major Internet providers”. This is incorrect in Australia. 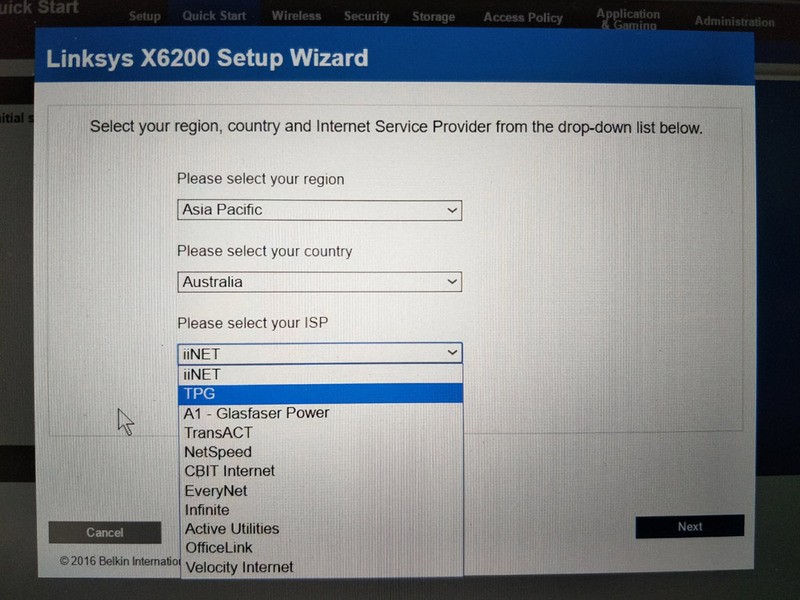 To work on an Australian NBN VDSL FTTN/FTTC/FTTB connection the x6200 would need to be able to support a feature called Annex B. Unfortunately it only supports Annex A. In my opinion Linksys should clearly label the box of the X6200 to say that it is not NBN compatible. Australians are buying it assuming that it is compatible, then getting extremely frustrated and wasting many hours in a futile attempt trying to get the connection to work. When I first tried to set up the Linksys x6200 I discovered that the initial firmware wouldn’t allow a VLAN ID choice less then 10. This was a problem because TPG VDSL FTTB requires customers modems to be set to VLAN ID 2. 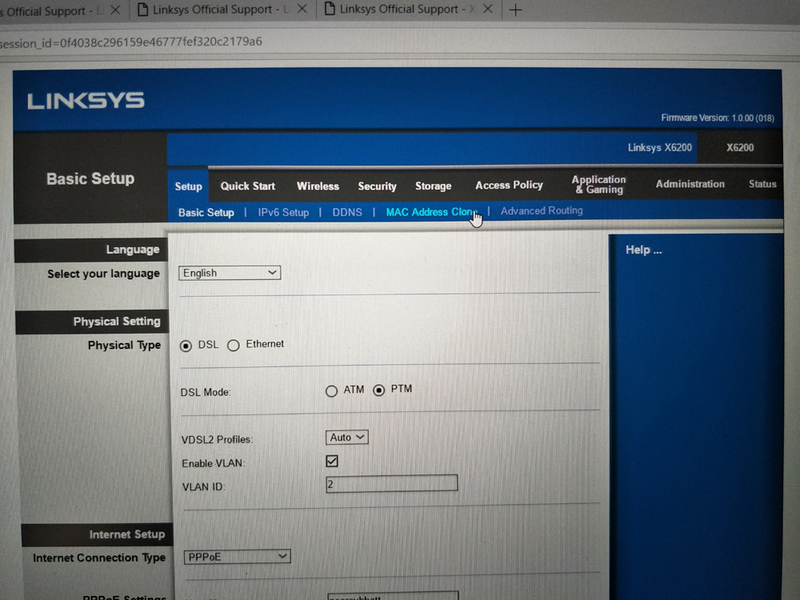 I checked the Linksys website for newer firmware and thankfully as of firmware version March 2017 1.0.00.018 the Linksys x6200 Quick Start allows GUI based TPG FTTB VDSL setup with VLAN Tag 2. So I upgraded the modem to that firmware. I have confirmed that this works, connected at full 100/40 speed. 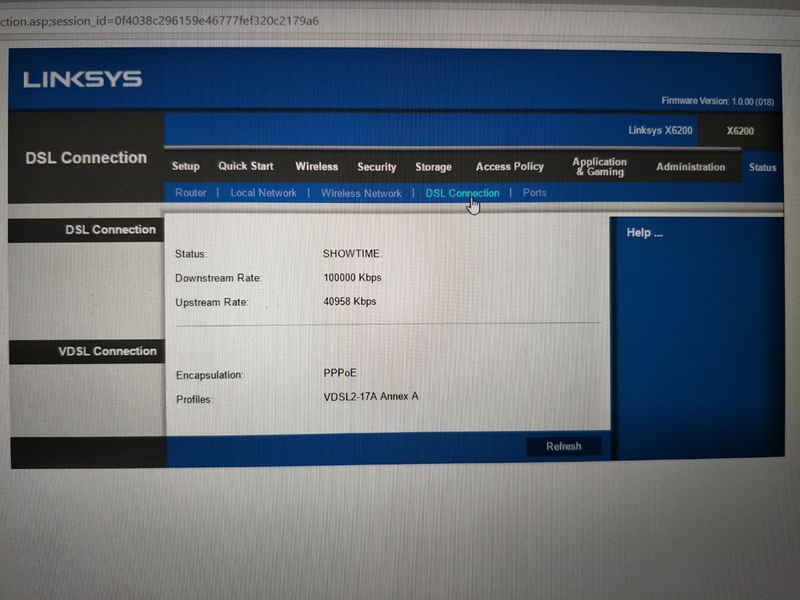 Obviously this means old retail stock of the Linksys x6200 will need to be manually patched with firmware 1.0.00.018 downloaded using mobile data/different modem to be able to connect to TTG FTTB VDSL. For the last few weeks the Linksys X6200 has provided a rock solid 100mbit down/40mbit up sync speed and reliable high transfer download and upload speeds which is excellent. This is better than the sync and transfer speeds achieved by both the poor quality Huawei FTTB VSDL modem supplied by TPG and my old good quality Fritzbox 7390 FTTB VSDL modem. I highly recommend the Linksys X6200 as a modem/router for use with a TPG FTTB internet connection. The X6200 retail price at present is currently quite varied between $115-$189. At the lower end of that price range it is a bargain. I just got this thing, and have been trying to get it to setup with the NBN. We only just got it setup, and I am not completely sure how to get it right. I’m on Optus FTTN in Queensland, changed one setting once my NBN was activated and the modem works flawlessly, even better than garbage saegcom modem Optus supplied me with. EDITOR: Glad it worked for you. What was the “one setting” that you changed?